Great for most angled pitot tubes including Cessna, Beechcraft and many others. The bright orange and yellow make it hard to miss, the Velcro is sewn on so the cover won't be lost. The length of the tube must not exceed 6.75” and the diameter must not exceed 7/8”. 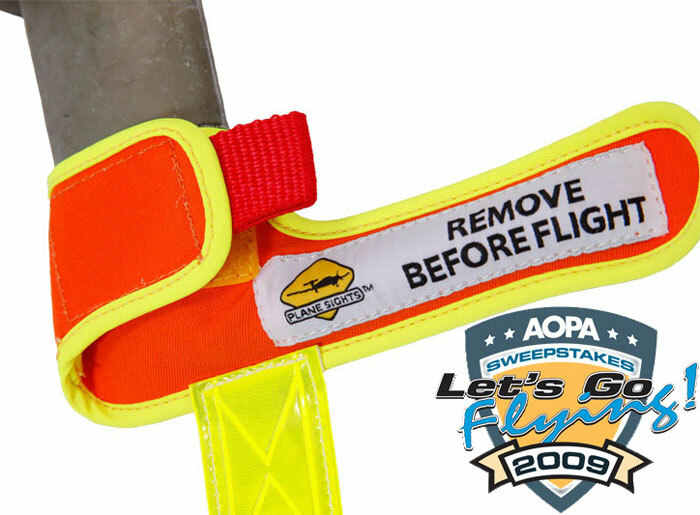 If it does, our Universal Pitot tube cover would be a better choice. The covers fit all Beechcraft, Cirrus, Diamond, and Grumman Mooney aircraft, most Cessnas and Pipers, and other aircraft equipped with angled pitot tubes. Reflective is 7.75” long.